Japanese toy makers can usually rise to the challenge of making a cute stuffed animal out of even the most unappealing lifeforms – witness Capybara-san, a surprisingly popular character even though World’s Biggest Rodent is not exactly anybody’s idea of a heartwarming claim to fame. 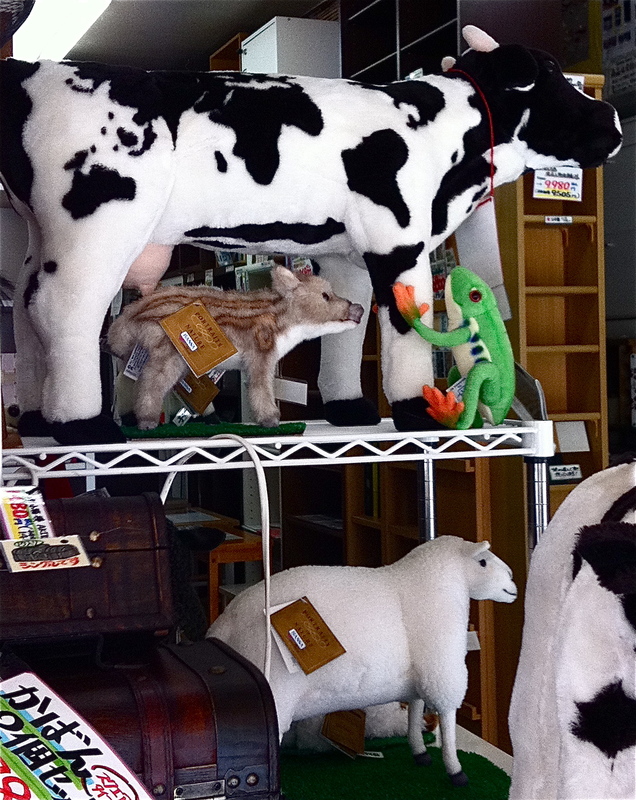 So whose idea was it to produce the anatomically correct cow and the baby…uh, tapir? Am perishing with desire for baby tapir! Also think Capybara-san is brilliant.